A futuristic thriller that pits teens against teens. Jemma has spent her life scavenging tools and supplies in her tribe's small enclave outside what used to be a big city. Now she’s a teen, and old enough to become a Mama. Making babies is how her people survive—in Jemma’s world, life ends at age seventeen. Survival has eclipsed love ever since the Parents died of a mysterious plague. But Jemma’s connection to a boy named Apple is stronger than her duty as a Mama. Forced to leave, Jemma and Apple are joined in exile by a mysterious boy who claims to know what is causing them to die. The world is crumbling around them, and their time is running out. Life is short. Can they outlive it? Jeff Sweat has made a living from words his entire career, starting out as an award-winning tech journalist for InformationWeek magazine and moving into marketing. He led the content marketing team for Yahoo and pioneered its use of social media. He directed PR for two of the top advertising agencies in the country, Deutsch LA and 72andSunny. He now runs his own Los Angeles–based PR and marketing agency, Mister Sweat. 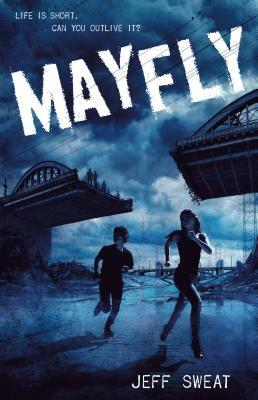 Jeff is the author of Mayfly.